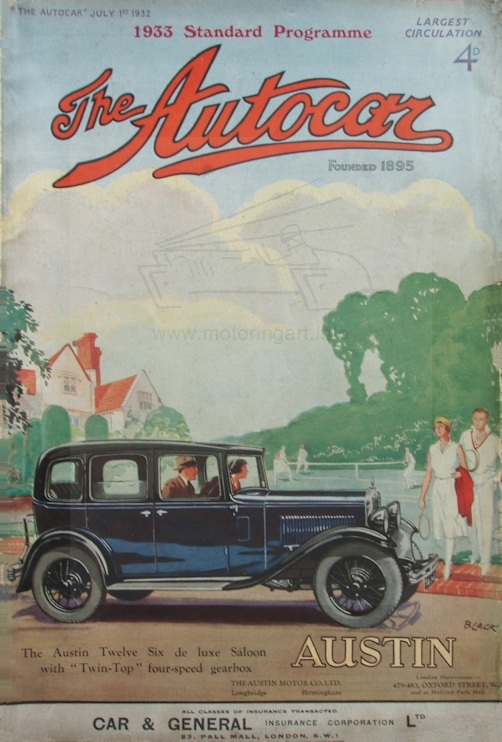 Artist who produced several front cover designs for The Autocar magazine in the 1920's and early 1930's. Also did manufacturers adverts e.g. Marmon 23rd November 1928 and Hillman 1st March 1929. Is this artist the same as Montague Birrell Black who was a specialist in Naval and military artwork also doing railway poster work?